From time to time there's call for me to make a stand-alone science-based image. In 2007 I was part of the LOC for the IAU Symposium 244 : Dark Galaxies and Lost Baryons. As well as playing technician to get everyone's presentation working, I also made the cover image for the conference proceedings. 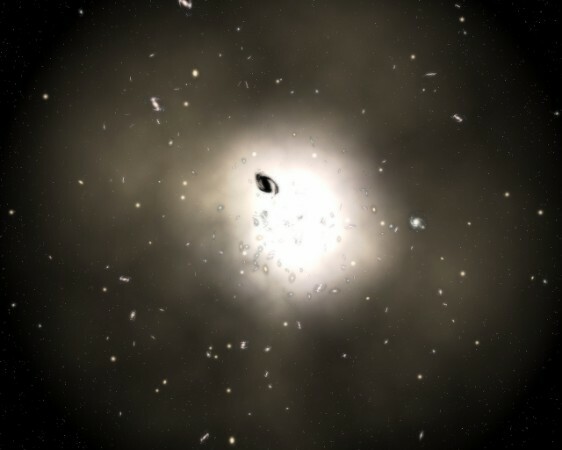 It shows a galaxy cluster with the lost baryons as glowing gas, with a representation of a dark galaxy silohuetted against it. I also made the image for the floor at a summer exhibition at the Royal Society. Cardiff's contribution was a booth dedicated to the Herschel and Planck space telescopes, with which we had major involvement. 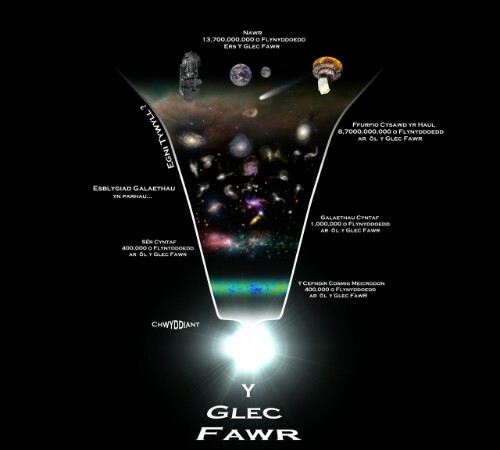 Rather pleasingly, this comes up 3rd in a Google image search for "Timeline of the Universe". It was also nice to see this displayed as a friggin' massive printout, something like 10x6 feet across. 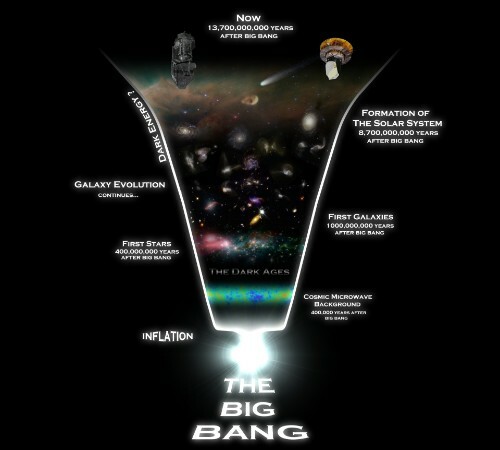 UPDATE : I found that the horizontal version of this image was used in 2012 presentation by none other than Stephen Hawking. Yes, the Stephen Hawking. You can watch it here; the image is visible at about the 7 minute mark. For novelty value I'm also including the Welsh version. The translation was done by Rhodri Evans, also at Cardiff University. More recently I was asked to create a very, very large timeline image for a wall display. I had a lot longer to work on this one and learned to use Blender 2.6 a little. You can find a much larger version here and a really large version here, but the full, 350 megapixel image is only available on request if you ask really nicely, or offer money, or lots of chocolate. Visitors who for some reason don't want to download gigantic images can now view the timeline in-browser here. 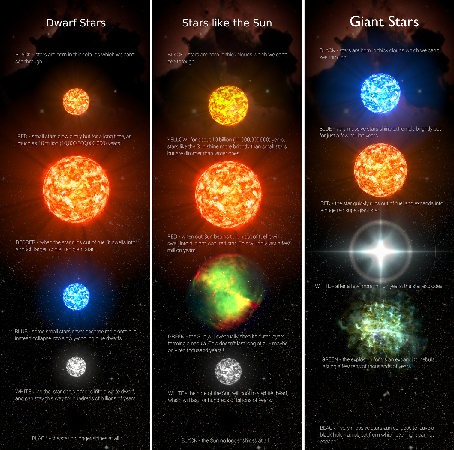 For a public outreach activity (mostly aimed at schoolchildren) for the 2013 winter AAS, I made bookmarks illustrating stellar evolution. The "children" (some of them, well, weren't) tied coloured beads onto ribbons attached to one end, which each bead representing a stage in the life cycle of a star. They were popular to say the least - we gave away over 800 in 3 days (we "only" had 900 printed !). Which isn't half bad for an afternoon's work, I think.